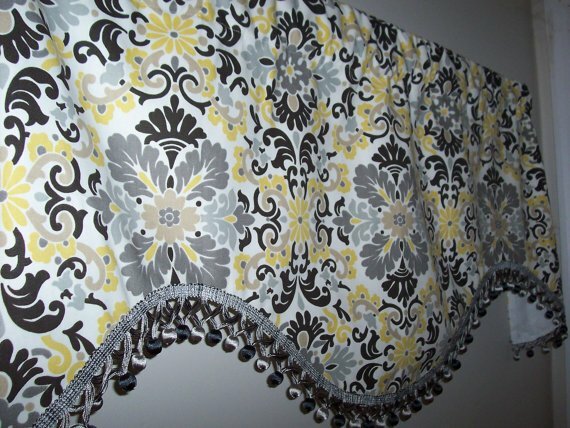 Beautiful deep scallop style custom valance in designer P/K Lifestyles FOLK DAMASK fabric. 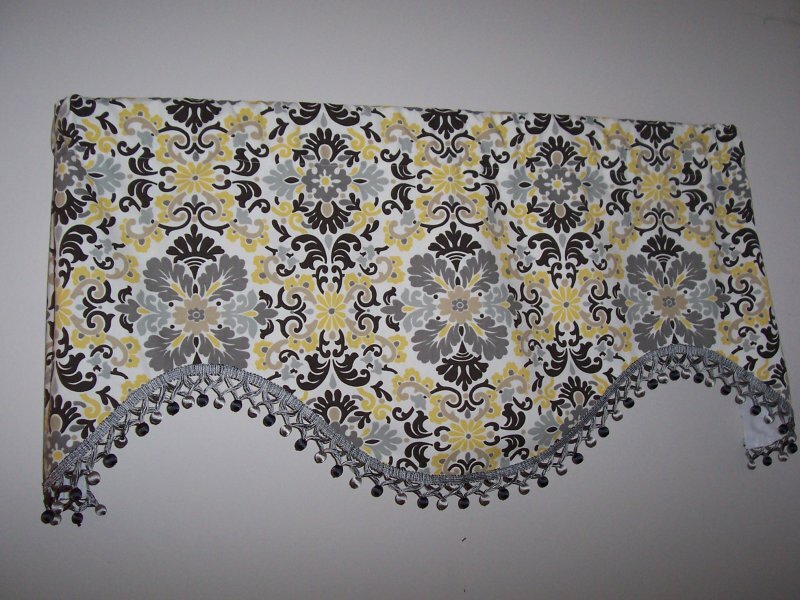 Folk Damask in the Lemondrop colorway is a lovely damask pattern in shades of gray, black, lemondrop and tan on a white background. 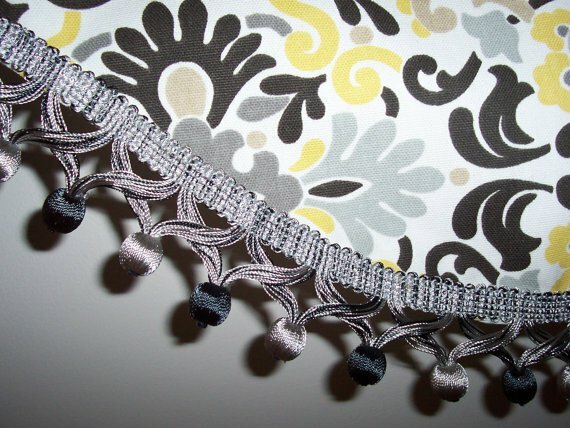 We've trimmed it with a gorgeous designer onion ball fringe in shades of gray. The valance measures approximately 50 wide and 20 in length (including fringe). The valance is fully lined and has a 3 rodpocket and fits a standard window up to 42 in width.